I bought the book with a lot of excitement. Alchemist had touched my heart. Aleph had refined my soul. Veronica decides to die gave me so much pain. The Zahir triggered in me more questions about the worthiness of relationships than answers that can console. Eleven minutes taught me about love beyond lust. The winner stands alone tried to dissect my personality and left me in loneliness. None of these things happened while I read Manuscript found in Accra. Actually, I was disappointed in my first reading of the entire 194 pages on a moving train. I was impatient to reach a safe destination. But I couldn’t. My mind travelled faster than the train. Faster than the responses by Copt (the strange man and the hero in the book), who believed only in the present moment. But I had already reached the destination, without actually been there. This happens, as we face battles everyday with one aim. We argue, fight, and justify. I looked at the scars. I felt sad. I felt lonely without realizing that at life’s most significant moments we are always alone. Did we hear someone calling us useless? Did we call someone useless? Why didn't we appreciate that each soul that came down to earth is here for a reason. Nothing is useless. We see beauty all around. We see colourful opportunities everywhere. But we fail to understand that the brightest light comes from within and not from the cosmetics, language or expression. I learned all this and more when I attempted a second reading of the book. Eighteen people representing varied perspectives of life asked the ‘Frequently Asked Questions’ to Copt who shared from his wisdom. No answer is unique. We have heard all those he said from great men and women in history, from scared texts and all those advisers we have among our friends, relatives and teachers. Then what is unique about the book? All of us love a life full of roses. But unfortunately very few of us are ready to face challenges, disappointments and difficulties patiently without losing hope. The ‘manuscript’ gives a message that there is no shortcut to success and happiness. The miracles happen in life by transforming wheat into bread through work (not by being idle), the grape into wine through patience (not by hurry-worry), and death into life through the resurrection of dreams (not by losing hope). 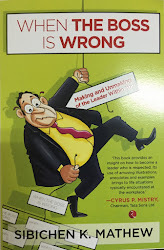 Success is possible for anyone irrespective of his position in the social ladder. The book says, ‘each time we see the humble exalted and the arrogant humbled, we are witnessing a miracle’. The central theme of the book, according to me, is the message of peace and hope. Manuscript found in Accra is the transcription of a document Paulo Coelho received from the son of an English archaeologist Sir Walter Wilkinson who discovered it in 1974 in Egypt. 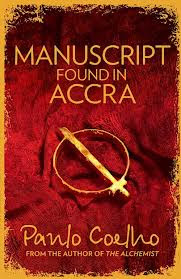 The origin of the manuscript was traced to a place called Accra, outside the Egyptian territory. 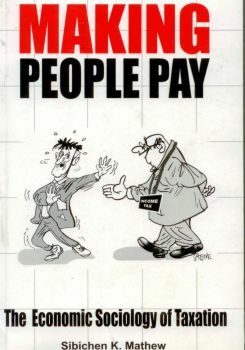 Available at www.harpercollins.co.uk / www.harpercollins.co.in or nearest book store. Digital age is not just about Steve Jobs, Larry Page or Mark Zuckerberg. It is also about three young personalities: Julian Assange, Aaron Swartz and Edward Snowden. Here is an attempt to have a quick look at the environment that shaped their personalities. What are the commonalities between Edward Snowden, Aaron Swartz, and Julian Assange? Following similarities are known: Whistle blowers, radical thinking from young age, anti-establishment, champions of individual freedom and privacy rights, advocates of open sourcing, extremely intelligent, cyber punks, led a small but committed team, and targeted by Law and Police for cyber crimes. I am not here to judge or comment about their action or crime. That is the job of the investigators and the judiciary. My attempt is to look at their family backgrounds, the ‘significant others’, their schooling and the immediate social environment and understand the influence of each of these factors on their attitudes, behavioural patterns and views of life. Though many readers are aware of the actions of the above three persons that led to the criminal charges against them, let me recapitulate the key charges against them. Aaron Swartz was arrested by the Police in connection with the illegal downloading of academic papers from the online database JSTOR. This is an online database of research papers and articles written by the academic community. The website charges a fee for accessing to the full versions of the papers. Millions of students and researchers worldwide look at JSTOR in connection with their assignments, projects, theses etc. Many affluent universities and research institutes have registered at this site so that their students have access to the online database. But many institutions and individuals cannot afford to pay the charges to read the articles in the database. Even I have experienced disappointment many times when JSTOR asked me to pay up while trying to read the articles. Most of these studies reported in JSTOR are in fact products of academicians who received public funds or fellowships for their research projects or huge research grants from institutional donrs. (Though this is not a justification for the action of Aaron Swartz, one would rightly wish that these papers should have been ideally circulated freely among the academic community by the academic institutions through their websites). 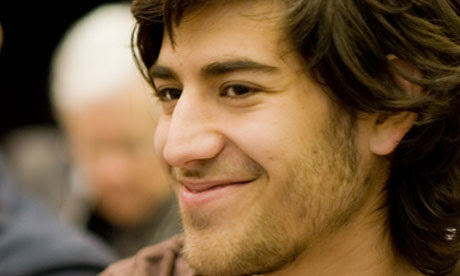 Aaron Swartz illegally downloaded large number of articles and given free access to people. Earlier, Aaron who had created interactive educational websites at the age of 13, and who had done extensive research on political corruption, had downloaded and released millions of federal court documents that were not confidential for the benefit of the public. Edward Snowden: In the month of June 2013, thirty year old Snowden leaked details of highly confidential mass surveillance programs of Governments of UK and US. He worked as a security guard in the National Security Agency and later in the CIA in the area of Information Technology. He left CIA and was associated with a few private companies. 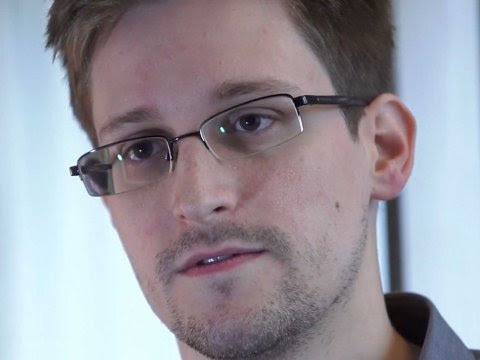 US has filed espionage charges against Snowden. While this article is being written, it is reported that Snowden has taken asylum in Hong Kong and then traveled to Russia and also requested for asylum in Ecuador. Julian Assange: (Extracted from my article on the subject) While Bill Gates and Steve Jobs were acclaimed for their creativity in Information Technology, Assange became popular (or infamous) for finding holes in the systems created by them. His team, comprised of either eccentric persons or persons with anxiety disorders and mostly from dysfunctional families, started their hacking adventures with the computer network through which most of the countries ran their classified computer sites. They wandered through the corridors of US Air Force in the Pentagon, tramped through Motorola, padded through Xerox, and swam down into the US Naval Undersea Warfare Engineering Station. Wikileaks released over half million US National text pager intercepts relating to September 11, 2001 attacks in New York and Washington. It used anonymous sources of information and leaked details related to Guantanamo Bay, US Military equipment in Iraq, Confidential Congressional Reports, Confidential Climate Change Agreements, Frauds within Multi-National Corporations, Internet Censorships in countries etc. Wikileaks released a database of hundreds of documents from as many as 160 ‘intelligence contractors’ in the ‘mass surveillance industry’. On February 27, 2012 wikileaks published what they called ‘Global Intelligence Files’ which are about 500 million e-mails (of the period from 2004 to 2011). It was claimed that these e-mails revealed confidential communications of various companies, indicating the dubious role played by the Bhopal’s Dow Chemical Company. The charge levelled by Police and many public organizations centred on following questions. How can a person who claims to be the champion of freedom of information thwart the privacy of individuals and institutions? How can a person who claims to be engaged in ethical mission commit the crime of unauthorized snooping and stealing secret information? How can a person disseminate information that seriously damages the security, peace and reputation of states and global institutions? A quick look at the background and upbringing of these three persons who shook the world points towards the need for a comprehensive sociological analysis of the factors that shaped their personalities. With a very limited analysis of piecemeal data found in the secondary sources and certain traces of primary sources that available in the public domain, I have focused on only two areas of their background: One, the family where they were brought up and two, their schooling. Let me start with their perception of their schooling. Education manifests itself as a draconian and inescapable prison for a large number of students who were forced to enroll in abusive schools all over the world. All three of them hated the school system. They found their schools uninteresting, torturing and preventing the learning process. Snowden dropped out while he was in high school. He later joined a community college but he could not complete the course. Swartz dropped out of school in Grade IX. 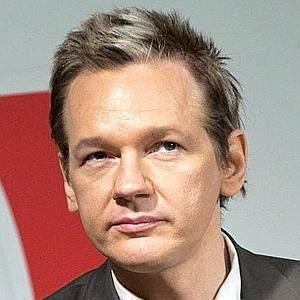 Assange had to stay in more than fifty towns in Australia and studied in more than thirty schools, mostly in the suburbs. So he was always labelled as a ‘new boy’ in every school. He found the school to be an agony of boredom and a place of slow learning. All the three had to face bitter experiences while they were in school. For example, Assange was subjected to corporal punishment by one of the school principals based on a false accusation. That tormented him for many years. Two of them had tormented childhood due to the marital discord between their parents. Snowden had to live for many years along with parents who were unhappy with each other. Ultimately, his parents divorced when he was about 18 years and his father who worked as an officer in the Coastguard married again. Assange’s mother experienced repeated marital breakdown and that had affected him severely. Though there is no information that points towards any disharmony between his parents, Swartz had described in his writings that he had a lonely childhood. How much of their actions were triggered by their ‘personality’ that shaped in the childhood environment? There is no doubt that all three of them perceived certain systemic maladies and wanted to act in response to that. But are there any other reasons for their so called ‘deviant’ responses? Did Swartz commit suicide solely due to the police investigation and crime charges against him by the State? Aaron Swartz, though a young and strong intellectual who was greatly influenced by the writings of Chomsky, was an occasionally depressed person. The above sentences clearly showed how disgusted he was with the upbringing and also about the schooling he underwent. Was he deviant in his teenage years? May be, if we compare his lifestyles with others', of the same age, of the same time. He started keeping his hair very long in spite of injunctions not to. He was often been ridiculed or judged on account of his hair. He defied the instructions of both teachers and his mother and the stepfather. He refused to tie his shoelaces in the normal way and devised an elaborate system of wrapping the laces round the ankle and tying a knot rather than a bow, and began to teach the method to other kids. Later he dispensed with shoes altogether. Young Assange keenly observed how his activist mother participated in the protests against war, uranium mining, harmful fishing practices, logging in rainforests. He thus gained firm education in the arts of political persuasion. But the life of the mother and son were like fugitives, as the mother experienced the trauma of repeated marital break down. All these childhood experiences have very deeply influenced the personality of Assange. Many Sociologists (Nature-Nature debate) are of the opinion that about 80% of one’s personality is influenced by the ‘environment’ and just 20% is attributed to Heredity. In the case of Assange, though the childhood experiences and the family background have greatly influenced his personality, there is a clear genetic influence. That is what Assange also believes. The book speaks about Assange’s discovery that he, in fact, was following his father’s footsteps as far his literary interests were concerned, without knowing him and his interests. He was amazed to find out on his father’s book shelves, the same set of books he had purchased and read. He says with pain: ‘I suddenly realised I had started from the bottom of myself, on the first rung, and built myself up via many trials and tribulations, when, all the time, if I had only known him, I might just have picked his books down from the shelf.’ He regretted that if he had known him, he would have built faster. What I have attempted here is to provide a very brief and quick analysis of the social backgrounds of these three personalities. A very detailed and comprehensive research based on extensive data collection and analysis would definitely throw light on various sociological dimensions. Janet P Near and Marcia P Miceli in their book 'Whistle-blowing: Myth and Reality' (1996) have written that the whistle-blowers are not unusual people. They are 'more likely, people who find themselves in unusual circumstances' .Researchers Alan Sroufe and team, after a detailed study on children at Minnesota (The Development of the Person, The Guilford Press, 2005) wrote: ‘..the explanation for why individual children and adults are the way they are lies in the entire cumulative history and the current circumstances surrounding the persons’. Sullivan in his book ‘The interpersonal theory of psychiatry’ (1953) emphasized the crucial influence of nature of schooling on children. Though subsequent to this, there is a proliferation of studies on ‘personality determinants’, very few works do a post-mortem and interlinking based on facts and events readily visible and still less number scholars have the courage to do a critical analysis of a live case before them. It is time, sociologists and social psychologists draw line to the past focussing on the present at an appropriate angle and with a restricted focus. How long the women of Chamoli could hug the woods? OR Who is responsible for Uttarakhand Calamity? When I did a field work in Chamoli and neighbouring villages in Uttarakhand several years back for my study on ecological movements, the women in those villages clearly said: ‘This terrain cannot stand even a controlled deforestation in the name of development. 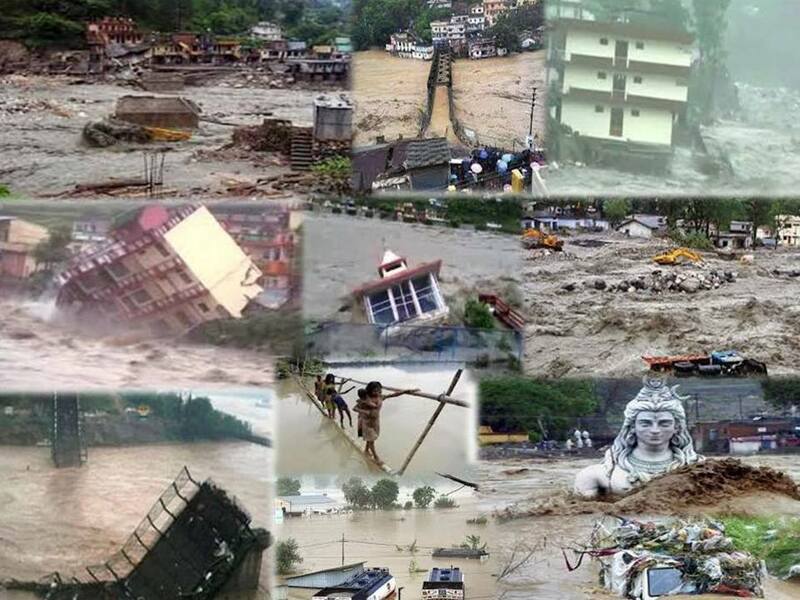 Unless there is total moratorium on the felling of trees, entire villages will be submerged in flood in the future. They said ‘No’ to any industrialization in the area’. I thought at that time that they were over-apprehensive! They were right; I was wrong. It is saddening to note that such a huge calamity has happened to a generation that fought incessantly for the protection of environment. How Uttarakhand was saved by women folks for many decades? Uttarakhand has a history of several protest movements for protection of their land from deforestation, landslides, floods etc. Earlier forest movements in the Grhwal-Himalayas were against the colonial destruction of forests. Large scale felling of trees for non-local commercial needs for British resulted in the destruction of forests. In 1930, a group of people who agitated against the restrictions of their forestry rights by commercial interests were indiscriminately fired by the armed forces, killing many. That agitation at Tilari of Rawai region initiated a long chain of protest movements in Uttarakhand. In 1972, the villagers in the region protested against a sports goods company from Allahabad which came for felling the ash trees auctioned to them by the Uttar Pradesh government. Villagers were previously denied even small scale consumption of these trees. Led by Alam Singh, the headmen, all villagers of Mandal resolved to hug the trees even if axes split open their body. The agents of the company were forced to leave the village without felling a single tree. This remarkable event was led by Dashauli Garam Swarajya Sangh (DGSS), a labour co-operative formed in Gopeshwar town of Chamoli in 1964. C P Bhatt, a sarvodaya worker, who later became one of the prominent leaders of chipko movement, gave the leadership for their early resistance. Villagers led by Sundar Lal Bahuguna applied bandages of mud to the ‘wounds’ of pine trees and removed the blades fixed on them to extract resin. Collective efforts of the women in Chamoli village and adjoining areas resulted in a virtual halt to tree felling in most of the area. Similar protests happened elsewhere too. In the Reni forest, near to the badly denuded catchment area of Alakananda and its tributaries , about three thousands trees were auctioned by the forest department. On 3rd March 1974, when all menfolk went to Chamoli town for receiving their overdue compensation, agents along with the labourers marched towards the forest. Women under the leadership of Gaura Devi resisted the felling. That night the women of Reni guarded all possible routes leading to the forest to resist any intrusion. Similar incidents of collective resistance were occurred in Rampur, Nainital, Henwalghata, Bhyuder valley, Dungri-paitoli etc. Although Sarvodaya ideology was an inspiration to these ecological protests, in some areas the movement identified with Bahuguna and in some other areas with Bhatt. 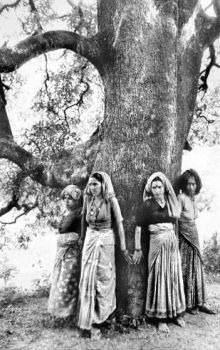 Studies on chipko movement often mentioned about the differences in the approaches and strategies of two leaders. Ramachandra Guha who studied extensively on this had said that Bahuguna, ‘like those American historians Lynn White and Theodor Roszakk’, stressed the role of religious belief in man’s attitude towards nature and proposed a return to pre-industrial mode of living. However, Bhatt stressed integration of people’s needs with the sustainability of the forests. DGSS also did not totally endorse Bahuguna’s approaches and wanted continuation of industries and setting up of new industries in the area. Bahuguna, therefore undertook a march from Kashmir to Kohima to learn about the widespread problem of degradation of Himalayas and to spread the message of Chipko to a wider audience. He covered a distance of 4870 kilometres to talk to people about the harmful effects of deforestation. Industrialization, large scale commercialization of the area and urbanization created havoc in the area in the past few decades. Improper planning and action by the civic authorities and uncontrolled exploitation of forests and ideological battles resulted in the current scenario. All social movements aim in bringing social change. But, after some time, it fails when faced with resistance from various political, ideological and commercial interests. All movements, once get institutionalized, face slow death. This happened in the case of Chipko movement as Bahuguna and Bhatt fought each other through their ideologies and strategies. Conclusion: Forget about the politicians and bureaucrats, where were the people’s movements in the last few years? The calamity that happened in the Uttarakhand area now is the result of a ‘compromise’ to the developmental agenda and the surrender to the commercial interests without understanding the unique characteristic features of the region and the sensitivity of the terrain that illiterate women folks clearly told to the authorities decades back. Blame the politicians and bureaucrats, as we always do. But where were the people’s movements all these years? When did they also fall prey to the commercial interests? All of us want to lead a healthy life. Yet, we don’t want to forego the tasty stuff! Is there any acceptable combination of abstinence and indulgence in our life? I have heard many nutritionists, dietitians and health experts speaking on this subject. But, when I talked to Atraeyee Suman, I found that there is something unique about what she says. I thought, it should be shared with all my readers. I have reproduced below, some portions of my conversation with her on the subject. Please read and give your views. 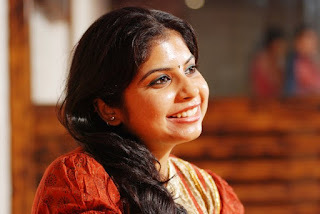 Atraeyee spent a few years as Management executive in her dad’s business venture at Vadodara (India) after her education. Later became a lecturer and then quickly moved over to Bangalore and became a Research Associate at IIMB. Married to Suman Mondal, she is now passionate about spreading her unique ideas on health, healthy diet, recipes, healthy cooking, and body fitness. 1 People are bored and fed up with similar diet suggestions for weight loss given by all those experts. Everyone seems to say only one thing. 'Eat fresh fruits and vegetables. Don't take fatty food (especially non-veg) and oil! Take only fiber rich food’. Do you have anything different to say on this? I would like to give an explanation first: Why they say eat fresh and say no to Non-veg? The idea is to eat fresh and “alive” food. When vegetables are green or fruits are fresh – they are alive. They still have some life left in them. When they decay they become dry and they change colour. The idea is to eat living food – “life gives life” same as we give birth to babies. Living food is lighter on digestive system and easier to digest. We don’t do enough physical exercise to digest muscles. Water takes 15 mins to digest; milk takes 20 mins to digest, fruits take 30 to 45 mins to digest. A full course vegetarian meal takes 3 hours minimum to digest. Fish takes 4 to 6 hours to digest depending on the consumption and the method of preparation. Chicken takes 7 to 8 hours to digest and other types of meats take more time to digest. It creates a lot of pressure on our digestive system to digest muscles. Eat what your body can digest. 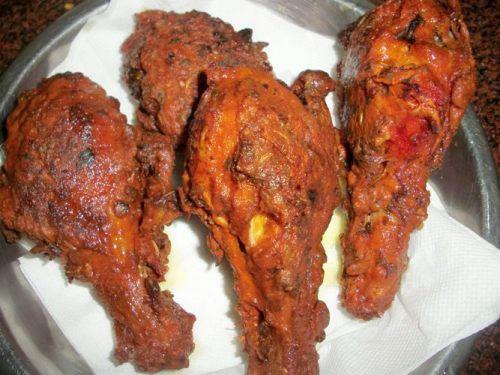 · If you do physical exercise for 3 hours a day, it is fine to eat non veg. I eat non-veg as I teach/ train exercises for almost 4 hours a day. By exercise I mean proper exercises like yoga, Pilates, weights, power yoga, physiotherapy, swimming, etc. this does not include walking in house or office. I advocate and advice 40 years + people to “exercise” instead of walking as it creates unnecessary pressure on knee and heels. We can’t bite a living fish or chicken, but we can go pluck a fruit and bite it – as it’s not going to scream or make you feel guilty about it. If we cut the chicken and consume it in 1 hour - it will still give some nutrition to our body. Now days even chicken are grown quicker than their normal growth cycle. Plus thanks to the preservatives and frozen concepts it’s difficult to find out what is fresh and which is chemically treated to look fresh. Plastics and preservatives intake increases the level of toxins in our body which are the root cause of all kinds of diseases. We advise to eat fish compared to chicken because fish swims in water and is constantly exercising as a result of which it has a softer and flexible muscle (compared to chicken, goat or any other meat) which is easier for the human digestive system to digest. These days chicken, goat, pig, etc. just stay in one place and don’t get a chance to graze in field as a result of which they have fatty meat and it’s difficult to digest. We don’t know if the meat had any disease before it was dead so indirectly it’s transferred in to our body. When you are in a weight loss program the idea of the program is to convert your body‘s excess fat into muscle and energy. If your digestive system is busy digesting the muscles you eat from out side, it can never focus on digesting or using the fat present in your body. For example, if you are busy washing and cleaning the house entire day and you don’t have time to sit and relax – you can’t concentrate on decorating the house. Same way if your digestive system is constantly working on digesting all the unnecessary food you keep eating constantly entire day it can’t concentrate on nutrition distribution, energy conversion and so on. Once you reach bone and muscle weight and you start understanding the combination of exercise, food, weight, nutrition and calories – it’s easier to play with them and eat food at right time. My advice to everyone is – eat Non-Veg between 10 a.m. and 11 a.m. in the morning as brunch. So that your digestive system can take entire day to digest it and by the time you sleep at night the meat is already digested and it won’t create unnecessary pressure on your digestive system. Thus fat won’t be created in your body. 2. People are so busy these days. They can't always keep cooking healthy stuff at home. They need to munch on fast food to save time and energy for doing productive work. And domestic help is a luxury. 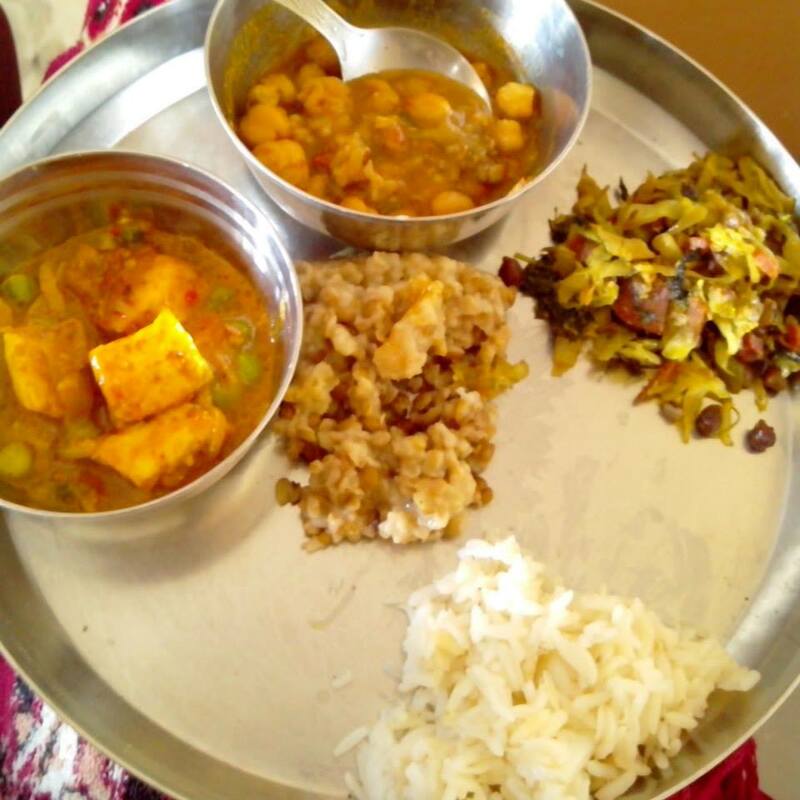 Is it practical to suggest that one should always consume 'home cooked food'? Each one of us get the same amount of time, it’s all about choices we make. Being healthy is an everyday conscious choice and effort. If you can’t put in efforts for your health today – you won’t have a healthy future after 40. The career for which you are working so hard will become a dream if you don’t have a health/ body / strength to support your ambition. Learn to give time to your body and make conscious choices. 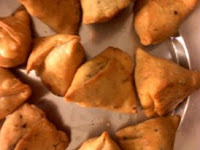 If you are eating out – stick to fresh cooked food like roti, dal and sabji instead of fast food. If you observe, food commercials that come on TV, radio, magazine and other mode of communication - they try to convince you to eat chips, heath bars, ready-made curry, health drinks, cold drinks, fast food, etc. The advertisers present the ads in such a manner that they look delicious and appealing. It’s all in mind and playing with psychology. If they can play with your psychology, influence your choices, why cant you? Why can’t you play with your mind, senses and convince yourself to eat healthy. By healthy I mean fresh food with no preservatives. It’s better to eat home-made besan laddoos made of pure ghee than munching packed baked chips, health bars, health drinks, etc. It is practical and possible to cook at home and at the same time have a corporate life. Every one who is successful today in life with good health is doing it. Pick up any actor, politician, rock star, sports personality, business tycoon, social worker, etc. who is fit and read their life style stories – you will get a clear idea why they are on top with good health. 3. In many countries, rice is one of the staple diets. Easy to cook and easier to digest. But why do many health experts say 'No' to rice? Rice/ wheat/ potatoes are important and we should eat them once a day as carbohydrates are needed to digest food. But the quantity of the rice intake has to be reduced. Instead of a plate full of rice, we should eat one cup of rice along with one cup of vegetables and one cup of dal. The idea is to eat balance diet where carbs, proteins, minerals, etc . in equal quantity. In the earlier days, people used to work in farms, factories, do house work , walk miles, etc. because of which it was easier for them to digest so much of carbohydrates and plus they needed that much carbohydrates to generate energy. In our present lifestyle we are sedentary in nature. We have maids, washing machines, microwaves, cars etc., as a result of which we don’t have a high physical activity. Our bodies don’t need to that much food what our parents or grand parents ate because their life style was different and our lifestyle is different. Life style has changed but we have forgotten to change our eating style. Eating Style needs to be changed, we need to reduce intake of carbohydrates but not stop them. 4. What are your suggestions for cutting down body weight? Eat on time and eat healthy. Eat quantity and quality. We actually need to eat a lot to reduce weight. Each one of us should eat huge breakfast. Breakfast is the main meal of the day and the digestive system is working in full swing till 11 am in the morning. Even if you eat an entire chicken in the morning it will get digested. Eat light lunch with combination of dal, sabji and rotis or a bowl of rice. Have a lighter dinner by 7 pm consisting of fruits, vegetable soups or any lighter snack. We need to shut down the digestive system and let it sleep as you sleep at night. Once our digestive system gets the required rest – we will automatically become healthy. Thin is an outcome of being healthy, becoming thin should not be the goal. 5. What is the 'unique' breathing exercise you talked about for maintaining appropriate body weight? I combine breathing with yoga, Pilates and physiotherapy. The idea is to breathe properly so that the exercises have proper impact on the body. If you don’t breathe properly as directed the exercises will have half the impact. Ask your trainer / yoga teacher/ physiotherapist to teach you proper breathing technique along with the exercises. 6. ​Can you please tell about your own weight reduction drive? My fitness goals have changed drastically over the past couple of months: from a couch potato to a wannabe runner and intense practitioner to an individual who just likes to move her body whenever possible (in as much as possible scenic and/or fun settings). I am no longer “exercising” – I have decided to quit the mentality of obligation and embrace the freedom to sprint in open fields – quite literally sometimes! I have two ligaments torn in my right knee – SIDE and ACL ligament. So you can imagine how bad it can be. If I don’t exercise I would start limping the next day and my knee will start paining. For me fitness is a necessity not a choice. I have to be on my bones and muscles weight so that I can walk properly. It took me 6 months of struggle to convert fat in to muscles. For years I’ve struggled to find enjoyment in “working out” – and I only succeeded when I completely suspended the notion that it’s an obligatory, painful process. Exercise is natural to living; every day, we move our bodies and burn energy. That’s all it is: moving the body! If it’s also purposeful – for instance, walking to a destination or through a beautiful trail in the forest (instead of walking in place on a treadmill staring at a screen), it’s beneficial on so many more levels. I’ve learned that if we’re enjoying moving our bodies and we’re not straining them, then endorphins are released – making the process both enjoyable and constructive to cells. On the other hand, overly strenuous, boring or painful exercise is destructive because of oxidative stress and free radical production that destroys cells! Atraeyee says: "I cook. I eat. I make others eat healthy. I can create low calorie version of any oily dish and can say what is the best time to eat it"
7. Can you give a diet plan for..
Eat a large/filling breakfast, lighter lunch and lighter dinner. Sleep with lighter stomach not with 1.5 Kgs of undigested food in it. We all make the mistake of eating at 10 pm and sleeping at 1.30 am at night. Eat by 7 pm and sleep by 11 pm maximum at night. Sleep for 8 to 9 hours give your body rest and love your body and self. Don’t criticize, judge or hate your body. Unless you accept your own body, you can’t change yourself, forget about changing others. Eat well, eat fresh and eat home made. Avoid plastics and preservatives, drink water in glass or steel bottles instead of plastic bottles. First the intake of plastics and preservatives has to be stopped only then cleaning/ detoxification can start. Eat heavy breakfast, lighter lunch and lightest dinner. Eat when you are hungry not when it's time to eat. Eat home made pure ghee and eat home made pure butter instead of market purchased ghee and butter. Eat food that has no preservatives and that doesn’t come in plastic packets. BP or cholesterol doesn’t happen due to oil alone, it happens due to improper food habits, late sleeping habit and giving unnecessary stress on body and mind. Sleep 8 hours, eat on time and be happy. 8 am breakfast, 12 pm lunch and 7 pm dinner. Eat when you feel hungry not when you get emotional pressure to eat, if you are hungry at night due to your life style then stick to green tea, milk, home-made snacks, kakra and fruits. 8. You experiment on healthy recipes. Why don't you suggest a few recipes anyone without much 'culinary skills' can experiment at home? Healthy recipes are available on my website www.revisediet.com and FB Page Revise Diet. Your readers can interact with me with their queries. 9. Anything else you would like to say? Love your body and don’t judge yourself. It’s not about looking good it’s about becoming healthy. Once you’re healthy you will automatically look / feel good. We get only one body in life – artificial parts and medicines can’t replace the original body gifted to us by nature. Respect yourself respect your body if you don’t give importance, no one else will. Give time to your body be patient with it. It takes its own sweet time. Please send your views and comments on the above interview by clicking the COMMENTS below.